Rubber boots are what you wear when it’s wet and muddy. Rubber boots are waterproof and taller than other boots for even more protection from the elements. Tuck in your pants and you’ll keep dry and clean clear up to your knees. For outdoorsmen, farmers, ranchers, workers, gardeners and the like, when it’s wet or muddy, easy-to-slip-on rubber boots have long been the answer to wet and muddy conditions. But, as rubber boot wearers know, this reliable waterproof protection has always come at a cost. Rubber boots lack the support, stability and cushioning of tie boots and, especially with prolonged use, can cause discomfort and joint stress. The human foot is an engineering marvel with more than 200 muscles, 52 bones and 66 joints. Wearing poorly constructed rubber boots can compromise foot function and comfort and puts undue stress on the complex network of joints that run throughout each foot. Stress that can cause discomfort now and, over time, lead to foot, ankle, knee and/or lower back problems. Nobody needs that! Enter Dryshod. 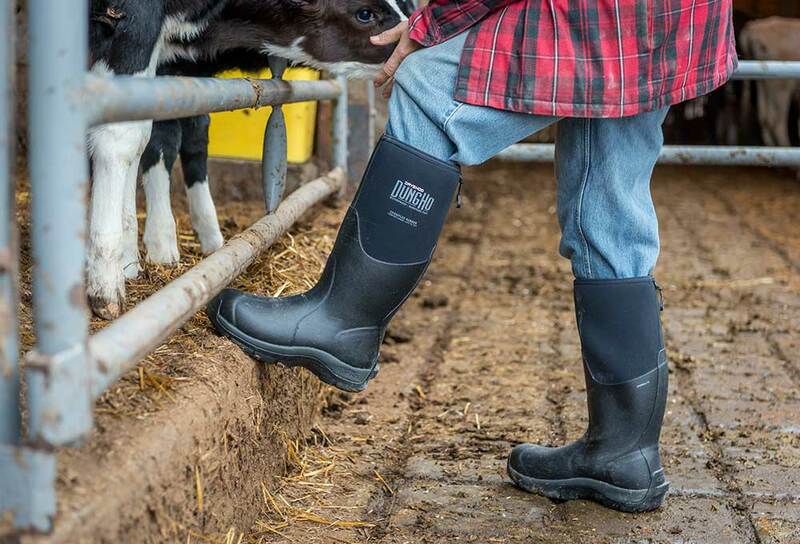 Dryshod makes an entire line of rubber boots that not only keep your feet clean and dry, but also offer dramatically improved support, stability and comfort. With Dryshod, you get utility with wearability. Dryshod is the world’s most wearable rubber boot! What makes Dryshod the world’s most wearable rubber boot?